2 years ago Lagasse’s Stadium was the benchmark for a great sportsbook. What’s happened? Poor service (which matters a lot since it’s a restaurant) and the same screens from when they opened. It’s still a good sportsbook when it’s not busy but there are now issues during large events and NFL games. 1) Seating is limited and reservations no longer secure space needed for large parties. 2) Mediocre restaurant service 3) Table minimums around $50 per person for most Sunday’s. SuperBook has the best linemakers in Las Vegas. There’s no questioning that. Even though they don’t allow smoking in the sportsbook it feels like they do. Sitting at this sportsbook is not fun. The sportsbook smells bad and the air makes me itch. I’ll revisit after they complete the pending renovations. Maybe they’ll add a working air filter and new carpet. LVH Is Out, Westgate Las Vegas Is In. Here’s What To Expect. 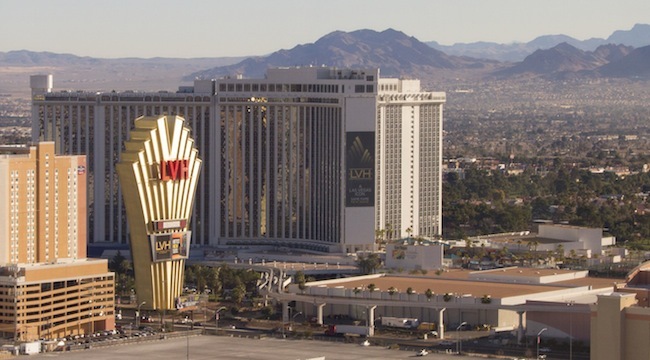 Last week LVH was sold to Westgate. In turn the hotel formerly known as LVH, Hilton and International will now be known as Westgate Las Vegas Resort & Casino. The purchase price was somewhere around $180 million and the owner says that they will put more than twice that much into rehabbing the old property. [Read more…] about LVH Is Out, Westgate Las Vegas Is In. Here’s What To Expect. In case you didn’t hear the news, LVH was sold last week to Westgate. LVH is no longer but the SuperBook will continue and become better than ever! 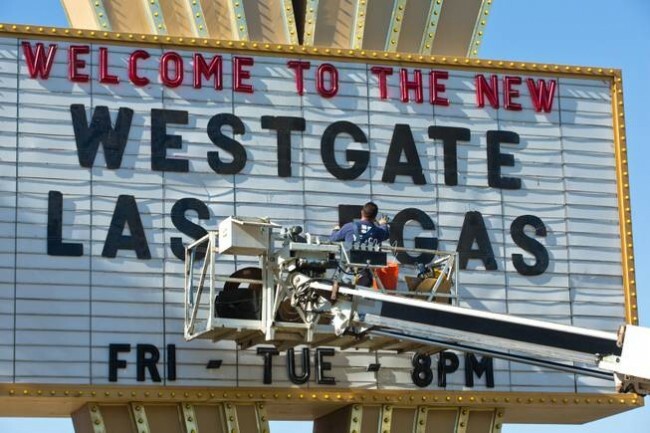 he (Westgate CEO, David Seagel) vows to make Las Vegas’ largest race and sports book the best in the market with new video screens and other comforts. This is great new for a legendary sportsbook. I’ve never been a fan of the Hilton or LVH sportsbook because it’s old and makes me feel dirty. That said I think I’ll like the newly renovated Westgate SuperBook when the work is done. There are no dates for renovations but don’t expect anything before football season later this year or March Madness next year. UPDATE: Since you’ve asked, SuperContest will not be affected by the sale of LVH to Westgate. Update: Looks like the deal is done and only one tower will become timeshares. LVH has been on the market for a while now with rumblings on who will buy it. Over the past few weeks the rumblings have gotten louder that Westgate, the timeshare company, would be purchasing LVH. Since the only people reporting this are gossip columnists like Johnny Kats, Norm Clarke and Robin Leach I wouldn’t consider this a done deal just yet. These aren’t traditional reporters as much as they’re gossip gatherers and rumor mongers. This sale could be true but their job is to share rumors, not report facts. The rumor that the LVH was sold for $150 million is a bit of a surprise on the low side. For reference, the beautiful Cosmopolitan was sold to Blackstone for 10x that amount, $1.7 billion. The comparison isn’t apples to apples just a point of reference. Since these are just rumors there isn’t any real information about the sale. Westgate is a timeshare company and not a casino operator. Westgate currently operates the timeshare behind the Flamingo. They took a big swing at opening the 2nd tower at Planet Hollywood but the recession killed that after a short run. It’s now called Elara. Timeshare’s are typically livable apartments with kitchens, dining rooms and living rooms. They’re not outdated hotel rooms with minimal amenities and a casino with a few restaurants. If the idea is to make LVH into 100% timeshare units Westgate might have to close the hotel and combine two hotel rooms to make one giant suite. That’s a lot of work and a lot of money. This is an interesting move for Westgate. Will they close the casino and hotel and renovate all of the rooms and casino floor? Will they find a partner to operate the casino and a hotel tower? With the connection to the Las Vegas Convention Center will they operate LVH as a traditional hotel only property? There really are a lot of options for Westgate if this rumor is true. Speculating on the future of Vegas is fun. Instead of full-blown posts about specific subjects I think it’s more fun to be short and concise. Here’s my take on two potential moves that would shake things up on the Vegas Strip. Topic: Now that Cosmopolitan has been sold which Vegas casino will be the next to go? LVH, Riviera and Caesars Entertainment have been rumored to have casinos on the market for a while. Caesars may have multiple properties on the market that they need to sell so they can reduce debt and avoid filing for bankruptcy. Speculation: My guess is that Caesars will be the first to move. Their current fire sale and shell game seems like a brighter fire than the other two possibilities. If there’s a dark horse in this race it could be Derek Stevens moving quickly to add the Riviera to his portfolio of The D and Golden Gate. On a personal note, I’d love this. The D and Golden Gate are two of my favorite places to roll dice. Topic: What is Dan Lee’s next step now that he’s resigned as CEO of Palms after less than a year on the job? Speculation: I’m going to speculate that Dan Lee’s next job will be something big. If he has a non-compete clause with Palms or just needs time away from work he might look for a major role with Genting as they open Resorts World Las Vegas. If that’s too far ahead perhaps a move to another independently operated casino in Vegas might make sense.The Cosmopolitan might make sense as they’ll likely add new leadership when Blackstone takes over operations. If you’re not familiar with Dan Lee, Vegas Tripping had a really detailed post when he was named CEO of Palms last year. 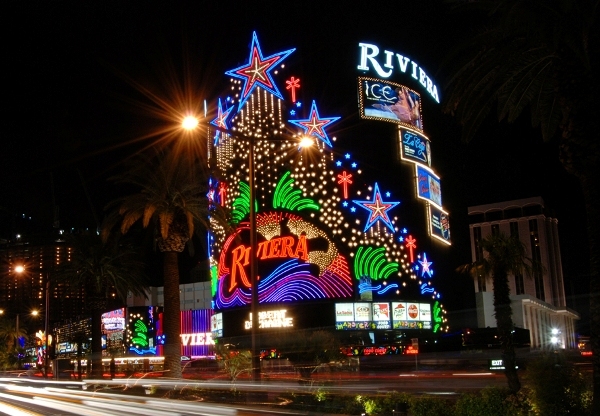 Photo: Riviera – Vegas Chatter, Palms – Vegas.com. Earlier today Todd Fuhrman from Don Best, Fox Sports, etc. tweeted the odds for the US Men’s Soccer team to win the World Cup from various sportsbook operators. They were all over the place! Each sportsbook caters their point spread and odds to their customer. You’ll generally find the sharpest odds at LVH. Caesars and MGM cater mostly to tourists on the Vegas Strip who will not be the most savvy on soccer as much as they’ll want to support their country. 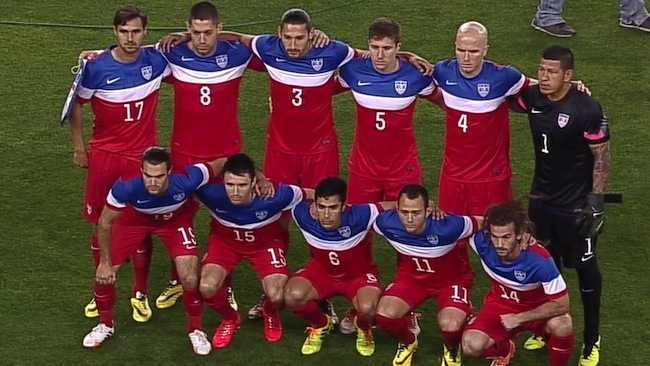 It’s no surprise that the US soccer team odds are where they are. Following smart people like @ToddFuhrman will help you learn about the sports betting industry. Leaning the clientele of each casino and sportsbook operator will go a long way to finding the best line value. Shopping around is always an important way to get the best value for your bets. Just like that….LVH SuperContest Weekend has come and gone. The LVH SuperContest is the largest most known football contest in Las Vegas (there are many). Its $1,500 entry fee makes it worth paying attention to, in part because of the huge prize pool. This year LVH is estimating that there will be over $1 million in prizes given away with the winner taking home over $200,000. Not too shabby! I don’t play in the SuperContest because I don’t feel like spend enough time handicapping football to I’m not confident that I can win the contest. That doesn’t stop me from enjoying a little bit of SuperContest Weekend. It’s nice to see some of the serious sports bettors that I already know and meet new sports bettors. I only attend the seminars with the pro sports handicappers discussing their thoughts on the upcoming football seasons (college and pro). I figure that I’d learn a little bit in between beers and chit-chat. Here are my notes from the college football panel. “The proxy was put in place by the LVH to allow out-of-state contestants – and those others who can’t physically make it to the SuperBook on a weekly basis – to participate in the greatest football contest in the world. The SuperContest requires picks to be submitted in person, so that requirement would obviously prevent most of an ever-growing field from entering if they could not use a proxy. For full disclosure Vegas Matty was one of the first people I met when I moved to Las Vegas because we have many shared interests. He’s a good follow on twitter if you like football or MMA. The LVH SuperContest is growing every year which, in turn, makes it more difficult to win because of increased competition. If you like winning the time to sign up for the SuperContest is now. Likewise, if you like big jackpots hold out and prepare for next year. Since 100% of the money is returned to players prizes will only keep increasing. Hooters Hotel and Casino in Las Vegas has been available for sale in off and on for the past couple years but it looks like they’re serious about selling this time, whether anyone is interested or not. That sounds like a patchwork solution…shepherding Hooters along until maybe, someday, someone will actually want to buy the place. Hooters is bringing in Navegante Gaming Inc. as consultants who somehow never help turn around a casino but always manage a casino til it’s inevitable end. They’ve most recently managed Gold Spike and LVH to their death and inevitable death, respectively. 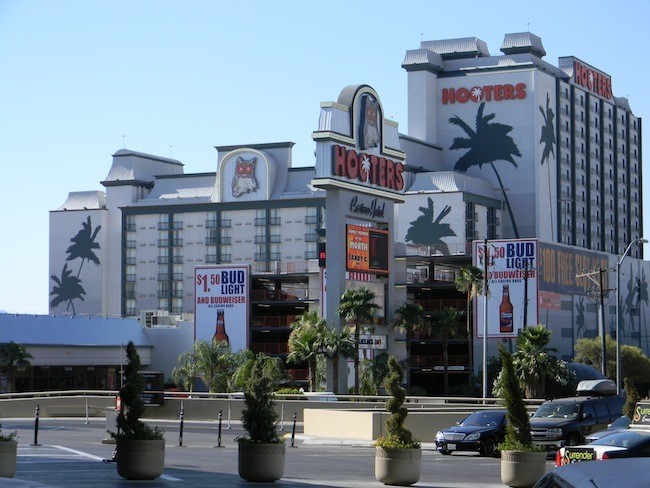 Navegante Gaming Inc., the father-and-son company of industry veterans Larry Jean Woolf and Larry David Woolf, has won approval from the Nevada Gaming Commission to manage Hooters Hotel & Casino. Regardless of a sale it looks as if they’re going to de-brand Hooters. The property is is in the process of undergoing a remodel that has already seen $3 million spent to replace carpeting and affect some hotel renovations. A name-change for the off-Strip hotel-casino is also expected shortly, although attempts to find a buyer have, to date, been unsuccessful. I have an idea for an awesome name – HLV. This in no way would be confused with LVH another awesome name for a casino that can’t be sold. Seriously, the Hooters brand name has taken a hit in the past couple years with the introduction of new “breastaurant” franchises. The name simply doesn’t hold the same recognition it did 5+ years ago when San Remo was sold and renamed. It seems as if Hooters is being cleaned up and prepared for sale but who would want to buy an off strip casino? I’ve never been to Hooters and have no plans to ever go. 1 of the 4 people I know that have been there left with pinkeye. I don’t want pinkeye. I’m not much of a reader but last year I learned about a book coming out that’s right up my alley. “Trading Bases” by Joe Peta looks at baseball and betting from a more analytic point of view then you’ll find in most mainstream media. Here’s the synopsis of the book and its full title “Trading Bases: A Story About Wall Street, Gambling, and Baseball (Not Necessarily in That Order)” from Amazon. An ex-Wall Street trader improved on Moneyball’s famed sabermetrics to place bets that would beat the Vegas odds on Major League Baseball games–with a 41 percent return in his first year. Trading Bases explains how he did it. After the fall of Lehman Brothers, Joe Peta needed a new employer. He found a new job in New York City but lost that, too, when an ambulance mowed him down as he crossed the street on foot. In search of a way to cheer himself up while he recuperated in a wheelchair, Peta started watching baseball again, as he had growing up. That’s when inspiration hit: Why not apply his outstanding risk-analysis skills to improve on sabermetrics, the method made famous by Moneyball–and beat the only market in town, the Vegas betting line? Why not treat MLB like the S&P 500? In Trading Bases, Peta shows how to subtract luck–in particular “cluster luck,” as he puts it–from a team’s statistics to best predict how it will perform in the next game and over the whole season. His baseball “hedge fund” returned an astounding 41 percent in 2011– with daily volatility similar to funds he used to trade for. Peta takes readers to the ballpark in San Francisco, trading floors and baseball bars in New York, and sports books in Vegas, all while tracing the progress of his wagers. Far from writing a dry, do-it-yourself guidebook, Peta weaves a story that is often humorous, and occasionally touching; the topic may be “Big Data” but it’s as entertaining as a Bill Simmons column. Trading Bases is all about the love of critical reasoning, trading cultures, risk management, and baseball. And not necessarily in that order. Towards the end of the baseball season last year I was introduced to Joe by mutual baseball lover and betting dork friend, Gill Alexander. The three of us grabbed a burger (this is when I discovered the awesome “Gold Standard” burger) at Holsteins at Cosmopolitan. After we grew tired of watching gamecasts on our phones we walked across the hall to watch the games at the sportsbook. It was pretty awesome watching and talking baseball with such great baseball minds. Joe was kind enough to answer a few questions about “Trading Bases“. What do you think readers will take away from the book? If I’ve written it well enough, I hope they’ll realize there is a lot of overlap between those who apply sabermetric theory and those who trade stocks and those who bet on sports. Each set of people, even though they might think they operate in a vaccum, could actually learn from the other groups as well. Sabermetrics can help the bettor, Wall Street could learn a lot from the sabermetric community in terms of evaluating talent, baseball managers (and some GMs) could stand to learn a little game theory from traders and so on. In the end, the book really celebrates critical reasoning, regardless of the pursuit. But if the reader gets there without laughing, without reminiscing about the connection sports means to the relationship with their parents or children, or without smiling about the times he’s been in a sports bar or a casino with his buddies, then I didn’t write it well enough and that’s on me. Explain the DIY guidebook that’s in the description for the book. 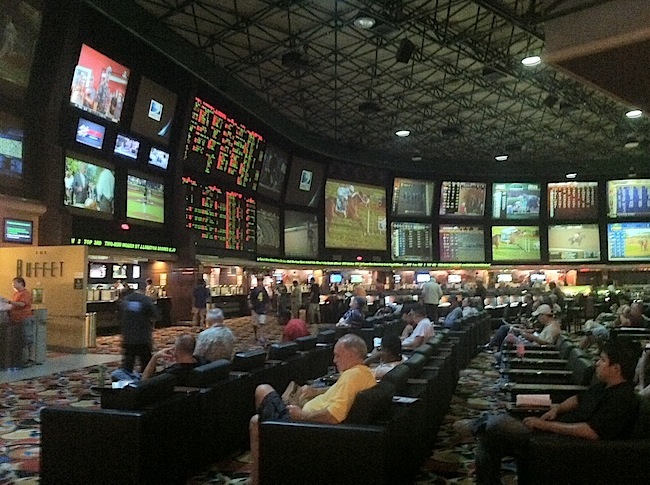 What are your favorite sportsbooks in Vegas to do bet games? watch games? Boy, do I love watching sports with like-minded sports bettors in Vegas — doesn’t even matter if I know them well. I view the experience like rating my favorite pizzas. Even the ones that are bad – – – are still pretty good! However, my favorite place to watch a slate of summer baseball games is at the Venitian sports book. It’s a Cantor-run property so the aesthetics are great. To top it off, it’s entrance is on the strip, next to a Walgreens so the ability to get in-game hydration is unparalleled There is a noodle shop adjacent to the sportsbook and a Grimaldi’s Pizza shop upstarts in the Palazzo mall for take-out. It’s simply perfect. Honorable mention to the LVH Man Cave, especially if you use a car to get around. And, as you know, if you have a group of guys coming from out of town, Legasse’s Stadium takes the sports bar experience to an entirely new level. In general though, I avoided that location unless I wanted a restaurant experience. As far as placing bets, any Cantor property, especially if you utilize their mobile technology along with the LVH and the Wynn give a baseball bettor access to three different dime lines. Those three books captured the lion’s share of my handle last year. If you prefer reading an actual book you can buy “Trading Bases” at Amazon. If you read on a tablet you can buy “Trading Bases” from iTunes for iPad or buy “Trading Bases” for Kindle. If you can’t wait for the book check out the Trading Bases blog where he just started going season previews.